I have never had the opportunity to attend a service at the Cenotaph before, today was my first. I attended the Dawn Parade at Invercargill Cenotaph, and was absolutely bowled over with the hundreds and hundreds of people who were also there, gathering from 6:45am in the pouring rain. The Army were in attendance, along with many other services and servicemen, current and past. Cannon and gun salutes, the National anthems of both Australia and New Zealand were also sung, along with two very poignant hymns: ‘Abide with Me’ and ‘O God our help in ages past’. As dawn rose over the Cenotaph, the mood was a relaxed yet sombre one, as hundreds of people paid their respects to the thousands and thousands of servicemen that gave their lives for the people of New Zealand, in all the wars from World War 1 to today. Help of the helpless, O abide with me…. In life and in death O Lord, abide with me. The final verse of the above hymn, which was sung at my Grandfathers funeral, a Naval serviceman, is a very poignant one for me. When my mother was dying, a very good friend rushed up to the North of England to visit her, on my behalf, as I feared I would not make it back to England in time. She pressed a wooden cross into her hand and gave her a hug, telling her it was from me. The cross was from a Pilgrimage her Catholic church had recently been on. My mum held that cross close to her till she died, and my Father has kept it in her memory. As I stood and wept at the cenotaph this morning, huge emotion came over me. It has never really dawned on me before how many hundreds of millions of people lost their lives, and how many hundreds of millions more are still affected by war, either directly or indirectly every single day. It was also very powerful to see how many hundreds of people were in attendance, on what is clearly a very important National Day here in New Zealand. A tiny Island Nation miles from anywhere, yet so many lost in a war that was not even theirs. Here is a remembrance blog ‘Lest we Forget’ that I wrote a couple of years ago, that contains the poem Flanders Fields, and some poignant images to represent all those fallen servicemen that gave their lives for us. We will remember them. Each and every one of them. 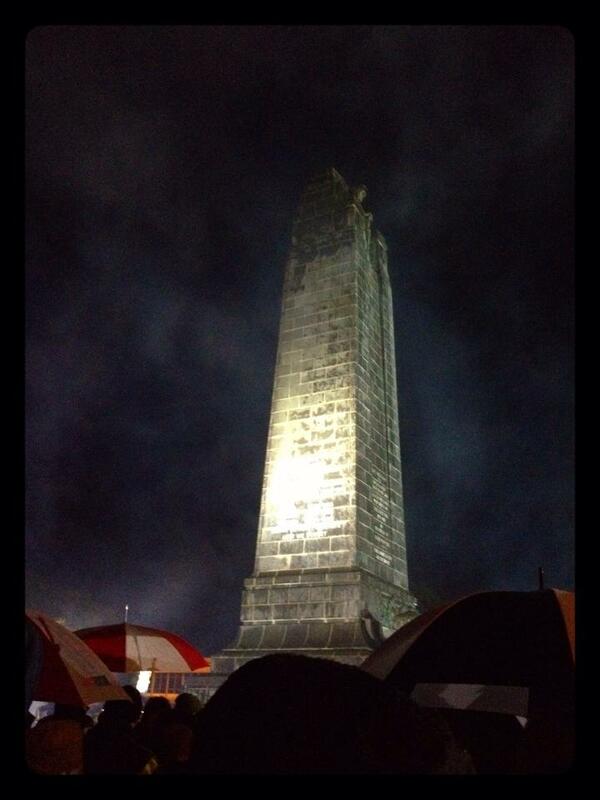 This entry was posted in Invercargill and tagged Anzac Day, Cenotaph, Lest We Forget, New Zealand. Bookmark the permalink.